All natural with a wide range of health and skincare benefits, Kapuluan coconut oil is pure, and exceptionally high grade for beauty and Personal Care. It is made from only the freshest coconuts which are sourced from rural, organic farms in the Philippines. 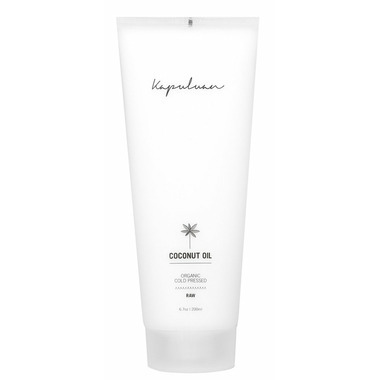 DIrections: Pure and Unprocessed for Beauty and Personal Care, Kapuluan coconut oil is in it's natural state, containing all the essential nutrients. Natural coconut oil reacts to carrying temperatures. In cold weather it can get hard as ice. In hot weather it flows like water. If it has hardened in cold temperature, it may be difficult to squeeze out of the tube. If so, just rub it in your hands or use neutral/warm water to soften it up! Always squeeze from the top to make it easier!